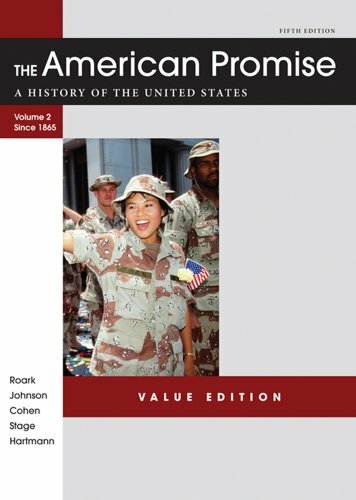 The new two-color Value Edition ofThe American Promiseis the ideal solution for instructors and students who want a full-length narrative at a low price. A clear political framework supports a dynamic social and cultural story enlivened by the voices of hundreds of Americans who help students connect with history and grasp important concepts. With the complete supplements package from the full text, the Value Edition offers everything cost-conscious instructors and students want and need for their U.S. history courses. MICHAEL P. JOHNSON is Associate Professor Emeritus of Sociology, Women's Studies, and African and African American Studies at Pennsylvania State University.